Are there any optional features that can be added to the VIP PowerNet Web Hosting? Yes. We have a selection of optional features which can add additional capabilities to your hosting account. If you would like to upgrade your hosting service, please login to Member Section. Unfortunately VIP PowerNet Member ID cannot be changed. The Member ID is used for FTP, email and VIP PowerNet admin functions. Please retain the Member ID and create other email user IDs for email use. Can I contact VIP PowerNet by telephone? However, we may implement a user-pay telephone support call center in the future. Can I use third party plug-in services? Yes. If the service you wish to us require DNS zone file customization, we offer 1 free DNS zone file modification for every VIP PowerNet account. Does VIP PowerNet have any policy on adult or software sites? VIP PowerNet does not host adult sites and sites with illegal copyrighted materials such as unauthorized images, pirated software (warez), pirated music etc. Accounts that are found to be in violation of this condition may be terminated without notice. Does VIP PowerNet offer any technical support? Yes all VIP PowerNet clients receive technical support. Clients can submit inquiries to us through our Technical Support System. How can VIP PowerNet charge so much less than the competitors and be able to stay in business? Efficiency and careful spending is the key for us here at VIP PowerNet. We choose our marketing expenses carefully and we have developed efficient systems to streamline our operations and billing processes. There are no tricks in what we do or hidden fees at VIP PowerNet. We recognize that by operating efficiently, we can deliver the affordable yet reliable services that our customers recognize us for. Our customers are happy with this and most are repeat customers. How can I get in touch with your marketing director or online media buyer? Please direct any enquiries preferably with your plan and or proposal to sales@vipwh.com. How can I retrieve my password if I've lost it? Please use the Forget Password function to have your VIP PowerNet password sent to you. Email account passwords must re-assigned by the domain email administrator if they are lost. How do I access Site Administration Panel? You can access Site Administration Panel directly via the Site Administration Panel link at Member Section. How do I cancel my service with VIP PowerNet? To cancel your service with VIP PowerNet, please submit your request for cancellation to us through our Contact Us Form . How do I view my Whois information? Any VIP PowerNet Member may view their domain Whois record at Member Section. Alternatively, you may visit ,a http://www.vipwh.com/whois.php to query your domain registration details. What does my monthly traffic allowance include? Traffic usage calculations include website and FTP traffic for your account. What does the Site Administration Panel interface look like? Screenshots of Site Administration Panel may be viewed at the Tech Support Tutorial. 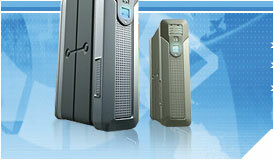 What does the VIP PowerNet Shared Web Hosting service include? VIP PowerNet Shared Web Hosting features may very from plan to plan. 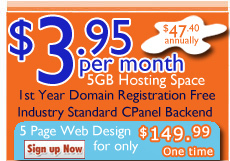 Please visit: http://www.vipwh.com/hosting.php for more details about web hosting plans. What happens if I exceeded my monthly traffic allowance? Will I be charged for the extra traffic? If you exceed your monthly traffic allowance quota, your website service will be temporarily unavailable until the quota refresh at the end of the month. This will not disrupt your email service. You will also have the option to purchase more traffic allowance to accommodate the usage of your website. A guestbook is a website component which allows website visitors to view and enter information and comments about a website. A Web Server is a program that, using the client/server model and the World Wide Web's Hypertext Transfer Protocol (HTTP), serves the files that form Web pages to Web users (whose computers contain HTTP clients that forward their requests). Every computer on the Internet that contains a Web site must have a Web server program. Two leading Web servers are Apache, the most widely-installed Web server, and Microsoft's Internet Information Server (IIS). An email auto responder is an email function that automatically returns a prewritten message to anyone who sends e-mail to a particular e-mail address. Autoresponders are widely used for the purpose of responding to visitor comments and suggestions in a preliminary way. Domain Forwarding is the forwarding of one domain name to another website URL or IP address. This allows more than 1 domain name to access the same website. What is VIP PowerNet server reliability like? Our servers utilize world-class networking and hardware equipment and are properly configured. Our network uptime is 99.9%. FAQ is the term for Frequently Asked Questions. On this page we have listed the most common questions we get from our clients and provided the answers for quick reference. We are always updating this page with new information in order to serve our clients better. HTML is an acronym for Hyper Text Markup Language, the authoring language used to create documents on the World Wide Web. On the Internet, virtual hosting is the provision of Web server hosting services so that a company (or individual) doesn't have to purchase and maintain its own Web server and connections to the Internet. A virtual hosting provider is sometimes called a Web or Internet "space provider." Some companies providing this service simply call it "hosting." Whois is an Internet utility used to query a domain registration information. What kind of preventative maintenance is performed and when is it typically performed? Our system administration technicians regularly perform routine disk defragmentation and other similar general maintenance activities as well as a series of software and hardware checks. Preventative maintenance is typically performed during off-peak hours. If maintenance is required at some other time, clients will be notified. What kind of security do you have? Do you have firewalls? Yes. Our servers which require protection from hacking and other malicious activities are located behind secure firewalls. VIP PowerNet servers currently utilize RAID (Redundancy Array of Disks) disk mirroring protection which is more efficient and manageable than backups. Data is mirrored between multiple hard drives and can be restored even in the event of disk failure. What type of network connectivity does VIP PowerNet have? Accommodating organizations with high traffic volumes is an VIP PowerNet's specialty. As an Internet service provider that owns and operates its own network, VIP PowerNet combines big bandwidth with multiple, redundant, high-speed connections to the Internet backbone. Who receives the email newsletter? Do you send it to visitors to my site? No, we do not send the email newsletter to the visitors of your website. 1). Email newsletters will not exceed one a day. 2). The newsletter is sent by VIP PowerNet and not directly from sponsors. Your contact information is never disclosed. 3). Newsletter will cease when once an account is cancelled. 4). The newsletter will be sent to VIP PowerNet account contact email addresses and email accounts under your domain.